Flowers Flooring provides residential and commercial flooring sales and installation. Call us for a free installation estimate or visit our showroom for quality carpet, hardwood, laminate, tile and vinyl. Majestic Floor Covering is committed to being the most trusted flooring company in North Carolina. Our experienced sales and customer service staff assist all clients with prompt and knowledgeable solutions to all your inquiries. We are always accessible. In addition to supplying excellent customer service, we provide flooring products and workmanship, some of the best guarantees and warranties in the industry, and deliver specialized personal attention to every client. End result - you get the best flooring money can buy at a reasonable price. Flooring is what we do best. Whether you need flooring for an entire house or just one room, no job is too big or too small and Majestic Floor Covering is committed to delivering excellence. We are a full service flooring and tile store. We have a beautiful 4500sf showroom located in Hickory, NC across from the Hickory Motor Speedway on Hwy 70. Our sales professionals can offer helpful design advice as they help you select the materials that meet you needs and budget. We’re your family-owned, neighborhood flooring experts. Drop by and let us help you choose the perfect flooring for your particular home and lifestyle. *Authorized Dealer of Shaw Floors* We have four stores to serve you best: King, Winston-Salem, Welcome, and Kernersville. We offer free in home measurements and on-site decorating/design ideas. There is no such thing as a job too big or too small for Pilot Floor Covering! 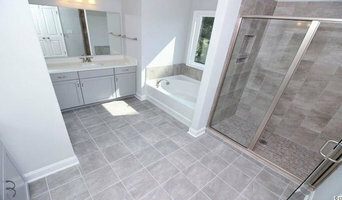 We offer all types of flooring, countertops, cabinets, blinds, and much more!! We have an on-site designer that will meet you and one of the four stores to help design your next project! Designs that offer the look and feel of beautiful hardwood, ceramic tile, and slate. We are proud to have served the Lake Norman area for over 10 years. At The Floor Gallery of Lake Norman we offer a versatile selection of carpet, tile, hardwood, laminate, vinyl, cork and bamboo flooring at affordable prices. Our knowledgeable and professional sales staff will assist you in making a selection that best suits your style and budget. We are a locally owned business. Our owner, Jennifer Fallon, has earned a notable reputation through her experience in working with home owners and contractors. Whether you are remodeling or building a new home we will work with you from start to finish ensuring you get the end result you are looking for. Are you looking for beauty and durability, style and strength, contemporary or traditional? No matter, everything you want and everything you need can be found in our Residential / Builder lines. We offer great deals on carpet, hardwood flooring, laminate, tile, and vinyl sheet flooring plus installation for your home, rental properties, and the real estate industry. Our flooring products are covered by manufacturer's warranty and our labor is covered for a full year. Call our flooring experts today to schedule your free in-home consultation! DECA Interiors, INC. is a family business that was established in 1993. Karen Fuquay is the owner and interior designer at DECA Interiors. Here at DECA, we strive to provide expertise design to enhance any space. Whether your style is rustic, glam-chic, industrial, modern or unknown we are here to make that space come alive and reflect your personality! 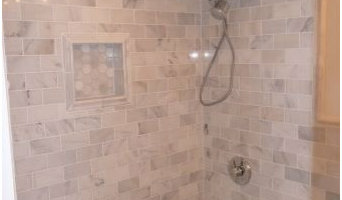 We work on new construction, remodels or home improvements. *Authorized Armstrong Dealer* After 20 years in floor covering retail, we are pleased to offer you our best for a positive shopping experience. We have everything you need from start to finish: A Friendly, Knowledgeable Staff + Sample Check-Out Service + In-home Consultations + Guaranteed Installation + Finance Options + Complete Warranty Service. We are your neighbors, with our business being locally owned and operated. Jimmy and Judy Flinchum opened our first showroom under the name Flinchum's Quality Floors in 1988. Jimmy was a flooring installer for many years and wanted to provide the community with a trustworthy choice for quality installation and products. In 1996 Jimmy opened a second location under the name Sav-A-Lot Flooring which offered a larger selection of in stock material at discount prices. In time both of these locations were closed and moved to keep up with today's changing trends and placed under one roof. Our name now says it all: Sav-A-Lot Flooring by Flinchum's, giving great affordable flooring with the assurance of quality that the Flinchum family has always provided. Still family owned and operated by some of the Flinchum's children, their son Landon Flinchum and daughter Tish Joines are dedicated to provide the community the same trustworthy choice that their father originally started. 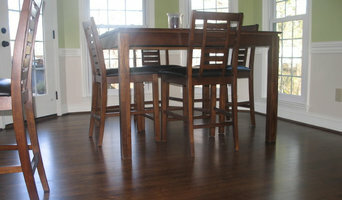 Faith Hardwood Flooring has been in business since 2008 with 20 years experience. Our mission in Faith Hardwood Flooring is to Bring Faith Into Your Home and provide exceptional service. Our goal is to make you happy. The customer and quality come first. We provide the services of Hardwood Floor Sand and Finishing, Installation, Custom Borders & Inlays, and more. We are currently one of the very few in the Piedmont Area that is a NWFA Certified Sand and Finisher. This means that you can trust our expertise and knowledge. We offer a complete line of flooring materials including carpet, ceramic tile, commercial tile, wood flooring, laminate flooring and vinyl flooring. We also offer country curtains, blinds, cabinets, countertops, wallpaper and draperies. Rotenizer Drapery & Carpet also carries Porter Paint. Come into our showroom and see our hardwood, tile and carpet displays. We are a locally owned and operated company, exclusively offering flooring solutions for over 17 years in Lake Norman and the surrounding areas. Our crews are well trained and are committed to completing your project from A to Z without delays from, project inception to the final punch list, we manage every detail of your project to ensure a seamless and high-quality installation. Planning every stage of your project including, material procurement, logistics, installation and sand/finish, our experienced team oversees it all. We provide a project manager and an experienced highly trained installation team on every project. If you’re looking for high quality and personal service, you’ve come to the right place. We’ll give you the attention and personal service you’ll come to expect and enjoy. Let us put our experience to work for you. We pride ourselves with Integrity, reputation and long-term relationships. Customer service is paramount to our company's mission. Our goal is to provide the very best in customer service. Because our quality control standards are high, our service technicians are among the best in the business. Our goal is to always deliver the best in workmanship that is why we guarantee and warrant that any and all labor that our crews perform shall be of good quality. We further that guarantee by proving a labor warranty that specifies that your flooring will be free from labor related problems for a period of one (1) year after the completion of the work. We want you, our valued customer, to be happy. GREENSBORO'S FLOORING & CARPETING EXPERTS! Shopping for flooring doesn't have to be a home improvement headache. When you trust your floor-covering needs to us, you're working with the most dedicated professionals in the industry. Our emphasis is on understanding your needs so that we may provide you with the best selection of products and highest quality service available anywhere. In every phase, from product selection and in-home consultations, to installation and proper maintenance, our expert flooring consultants will ensure your satisfaction because our company is dedicated to building long-term customer relationships. Come in and experience the difference at Carpet and Flooring Super Mart. We believe that our commitment to excellence in service sets us apart from national chain operations. We are a family business, and we consider all of our employees and patrons part of the family. *Authorized Dealer of Shaw Floors* Carpets Inc. has been serving North Carolina since 1960. Our exemplary customer sales and service has been awarded with an A+ rating by the Better Business Bureau and is a silver member of the Greensboro Chamber of Commerce. We are a family owned business catering to residential, commercial and institutional customers for outstanding value and service. Carpets By Direct, Inc. employs professional and knowledgeable sales people to insure a great end product and satisfied customers. Carpets By Direct, Inc. uses only certified installation and warranties every job it installs. Our customer service and great selection make Carpets By Direct, Inc. a unique floor buying experience. Carpets By Direct, Inc. added Sealy bedding to our flooring line in 2009 for our residential customer’s shopping convenience offering competitive prices with great selections.